[Hong Kong] As matcha fever in Hong Kong continues to rise, Via Tokyo at Causeway is easily one of the most, if not the most instagrammed dessert shop there. Not very much exaggerating, I had to squeeze Via Tokyo into a very packed itinerary because I have heard (or more rightly seen) so much about it. 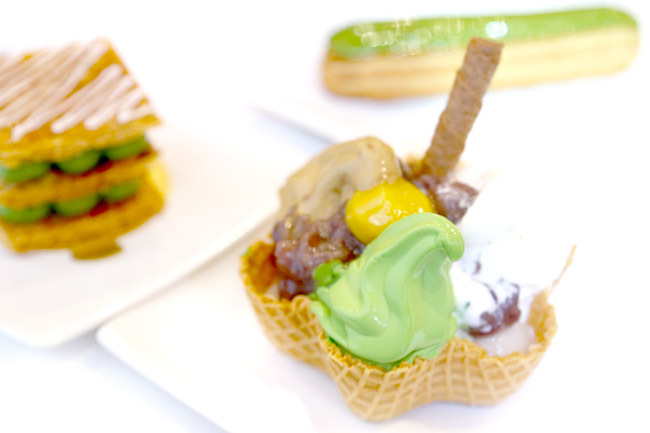 Via Tokyo serves Japanese desserts, pastries and soft serves made with Kyoto matcha powder and Hokkaido milk. 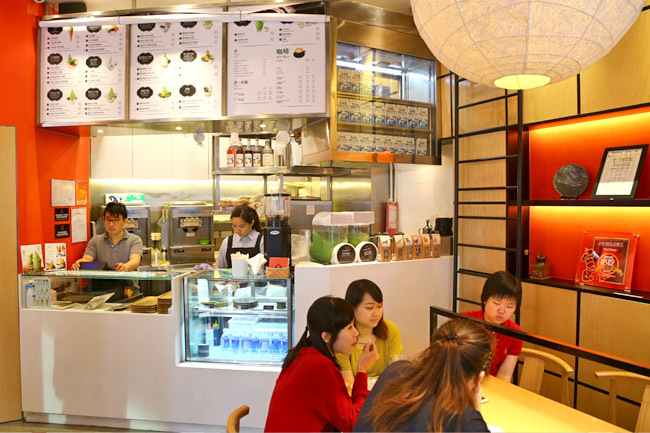 The Japanese café has been around for more than 2 years, but was only seen as ‘trendy’ and well-liked after months in operation, being one of the most searched dessert place on OpenRice Hong Kong. I was surprised at the sheer size of the corner café though, a space that could sit about 20 at most. Incidentally, they are opened by Ramen Jo, found a corner away. 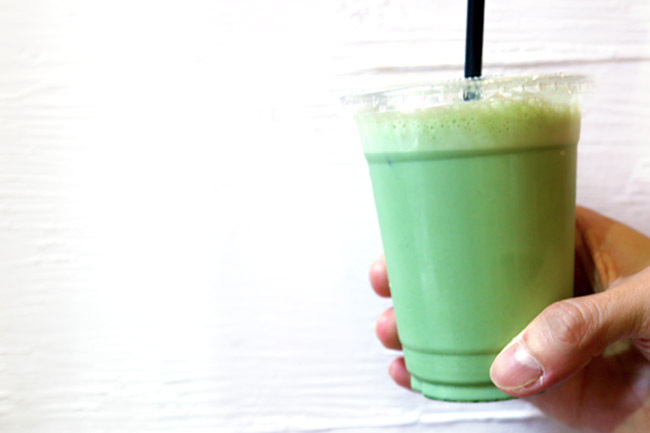 Owner Kosei Kamatani said he envisioned a cosy place where customers can relax, drink their matcha latte while typing away on the laptop, evident from electrical outlets available, but it took a different life from anticipated. The Original and Uji Matcha Cone (HK$32) is one of the most popular item for takeaways, but I wanted to try all 3 flavours at one go. 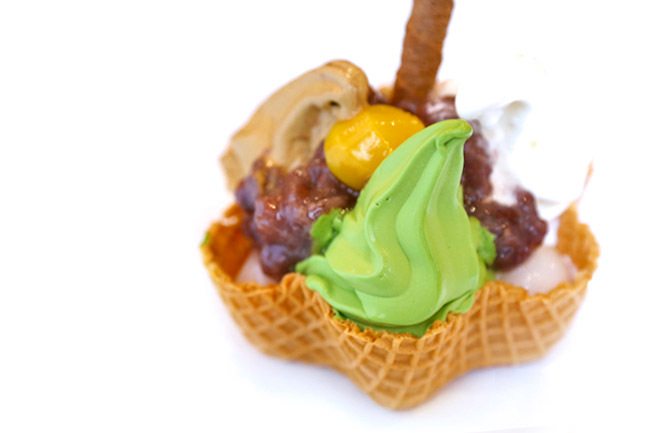 A 3-flavoured Waffle Cup (HK$55) which also includes Royal Milk Tea soft serve and a mix of shiratama was the most obvious choice. I liked the Royal Milk Tea flavour best, also because it is the least common, smooth and light, balanced between the delicate bitterness of the tea and sweetness, boosting milky creamy texture. Pleasurable, to well, lick. 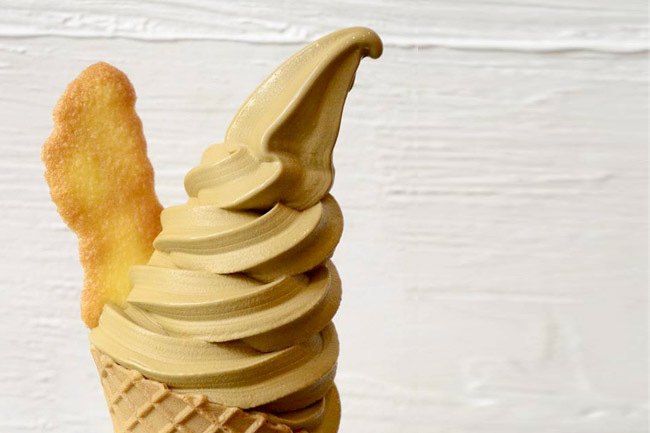 The matcha soft serve has a more distinct bitter aftertaste, even more so than Gion Tsujiri. My friend didn’t like it, I did. 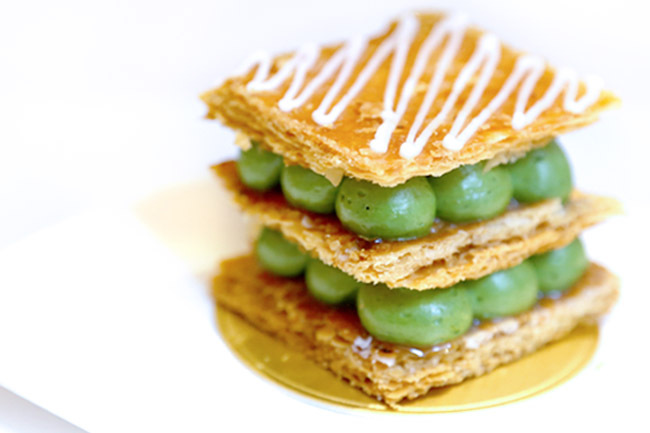 You would have thought that the Matcha Mille Feuille (HK$40) and Matcha Éclair (HK$36) were just photogenic and after-thoughts, but both were tasty. 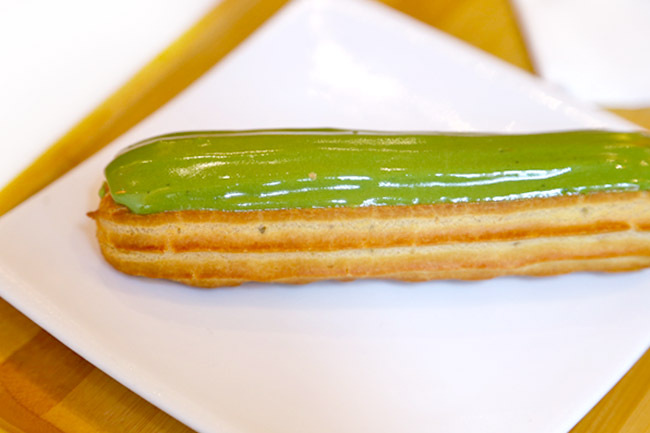 The former had crisp layers and dollops of dark green matcha cream sandwiched in between, and the latter glossy in green on the outside, filled with sweet-bitter pastry cream. Lovely afternoon treats. Via Tokyo just wanted something different, unique, and away from green once in a while. Must try this! All of a sudden HK seems so far away! 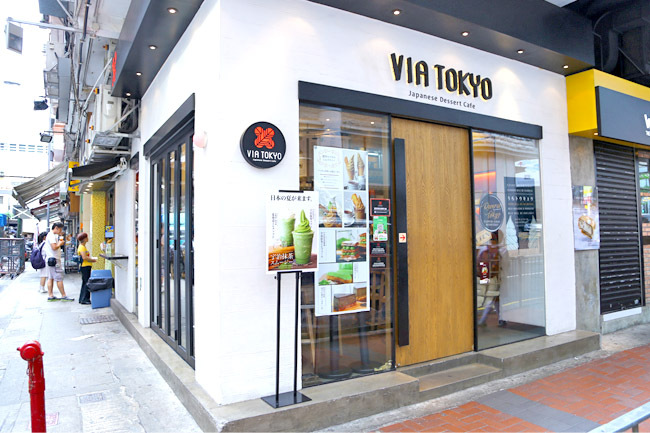 What’s the best place for matcha in Singapore anyway? Tai-parfait? Tsujiri?